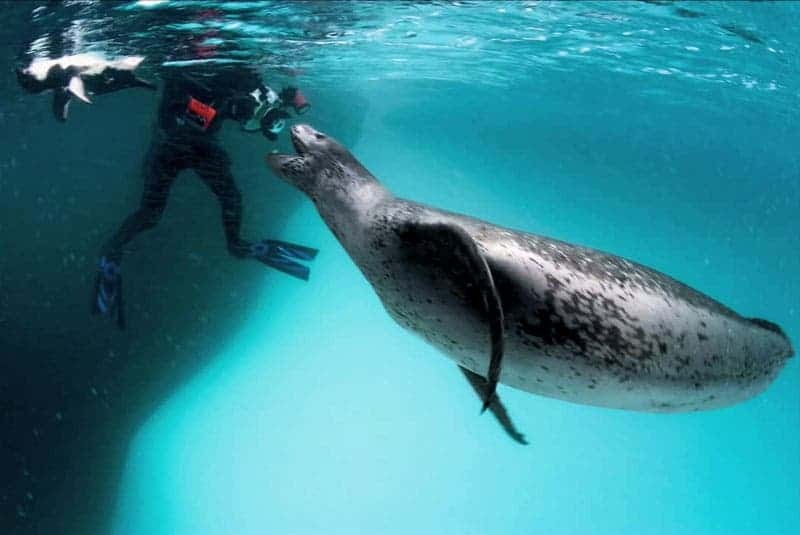 While documenting leopard seals in Antarctica for a 2006 National Geographic magazine story, photographer Paul Nicklen had a truly fantastic experience, which he documents in the video below. Seriously, watch the video – it will blow your mind! Make no mistake – leopard seals are remarkable predators! They’re pretty much on top of the food chain, as the only creatures which eat leopard seals are killer whales, but that happens extremely rarely. It’s easy to lose it when standing face to face with this cute looking but extremely dangerous predator, measuring 3 meters or more and weighing over half a ton. 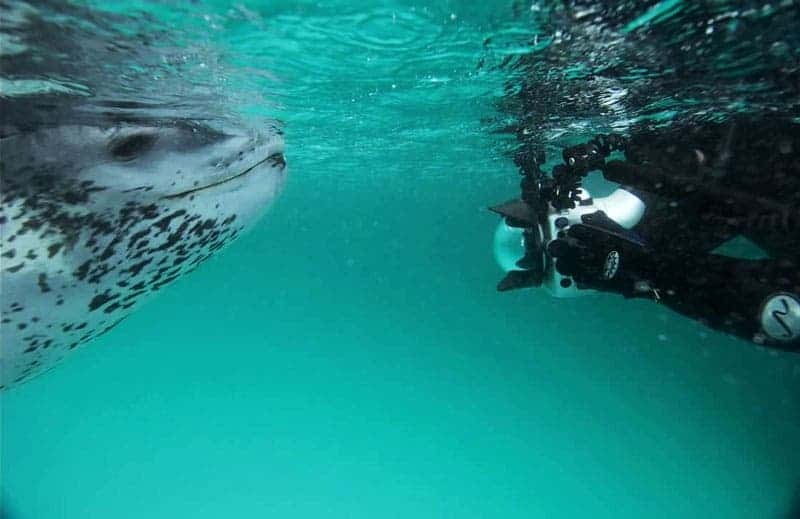 “Leopard seals are the most incredible animals I’ve ever had the pleasure of photographing,” he said. “When you get in the water with a wild animal, you’re essentially giving yourself to that animal because, as humans, we’re quite helpless and vulnerable in the water. You’re at the seal’s mercy. You’re at the predator’s mercy. But there are many things we don’t understand about leopard seals. Is this standard behavior, would every other (female) seal try to adopt and feed the human? Or was Nicklen extremely lucky? We don’t know.